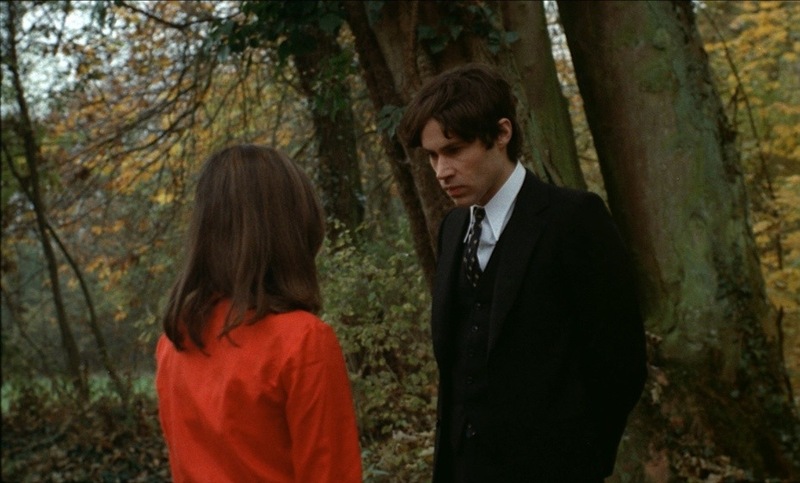 Released in 1973 The Iron Rose is quite an odd film that’s often linked with the horror genre, but like many of Jean Rollin’s films the basic idea behind them might be horror, but they aren’t really horror films and Iron Rose is one of those films. I often find myself having trouble reviewing Rollin’s films and Iron Rose is no different. 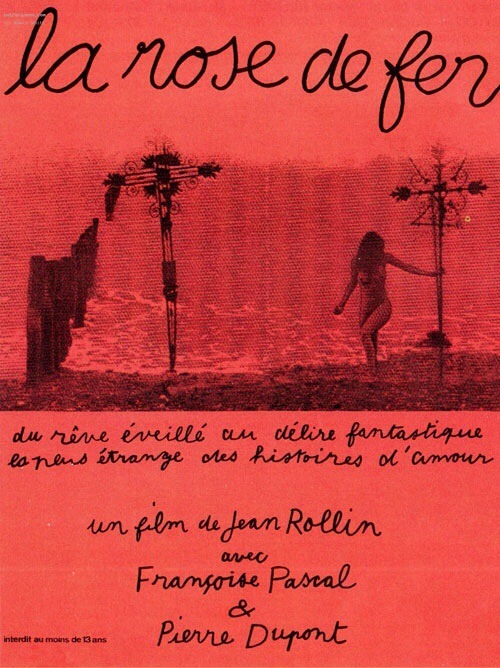 It’s quite interesting reading reviews for Jean Rollin films since he’s a filmmaker that gets such different reactions and it seems as if there isn’t any middle ground. 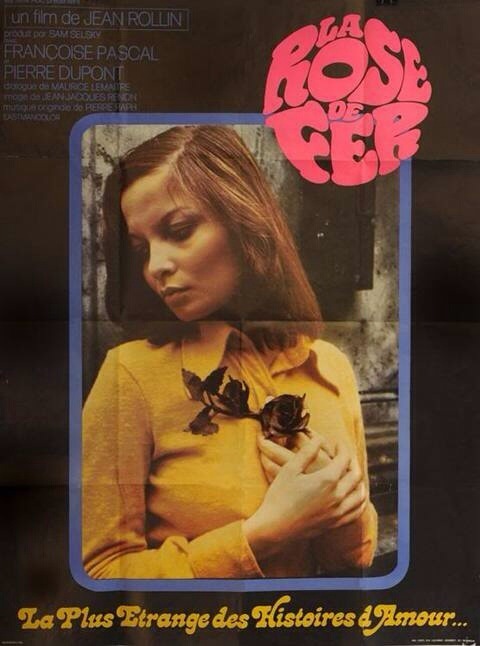 If you’ve never seen a Jean Rollin film I’m not so sure this would be the one to begin with. Iron Rose and other Rollin films can often be described as art films. While he has done some traditional horror films such as Grapes of Death and Living Dead Girl the good portion of his work is an acquired taste. If anything Fascination from 1979 is a good film to start with since it incorporates aspects of both Rollin’s art films and his more mass appeal horror films. The Iron Rose has very much split viewers and I’m somewhere in the middle. I liked the film, but I didn’t love it and I can easily see both viewpoints, but I can easily see my rating going up on multiple viewings. 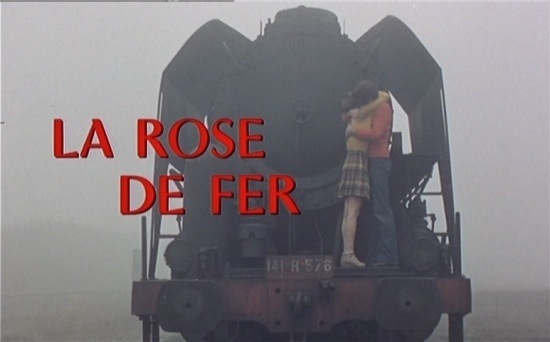 The Iron Rose is quite difficult to review and honestly like other films by Jean Rollin I might even struggle to come up with reasons why I liked. By many of his fans the Iron Rose is often considered his best film and I can see why, but I still go with Grapes of Death followed by Fascination. The plot is rather simple, while at a wedding a Girl (Pascal) meets a Boy (Dupont) and the two set up a date to go ride bikes the next day. They end up stopping and going into a cemetery and when they go to leave that night the path they took is gone and as they wander around they soon realize they’re trapped with no way out. The Boy begins to get frantic while the Girl descends into madness rejecting the living in favor of the dead. 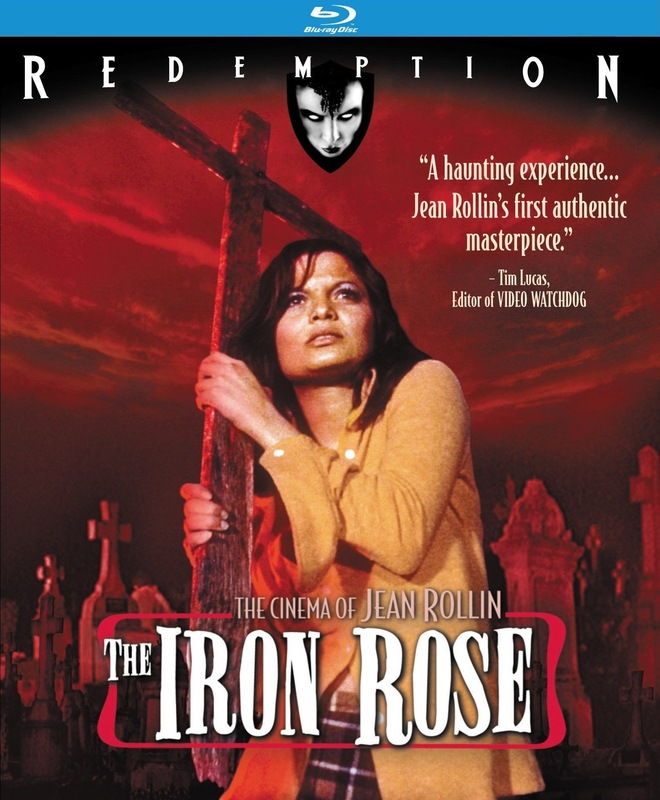 The screenplay by Jean Rollin is quite interesting, but Iron Rose isn’t a film that fails or succeeds based off the script since this is very much a director driven film. Characters don’t have much depth nor do they even have names, but none of this hurts the film due to how the story unfolds. 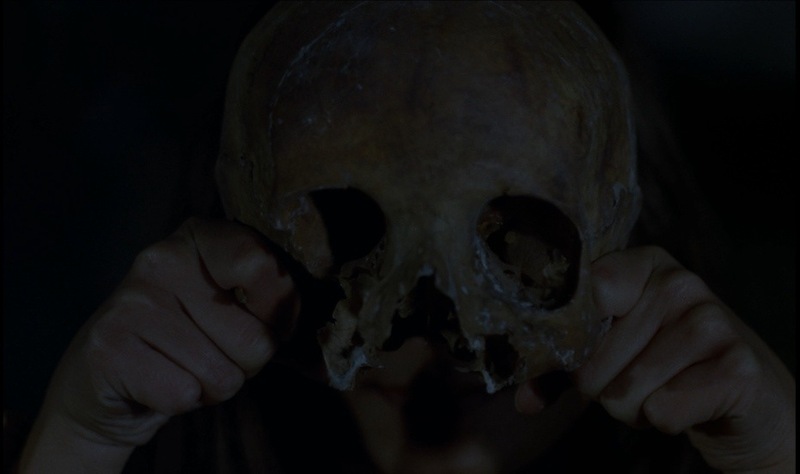 The screenplay is flawed, but also quite poetic at times, but again Iron Rose isn’t a film where its about the writing. 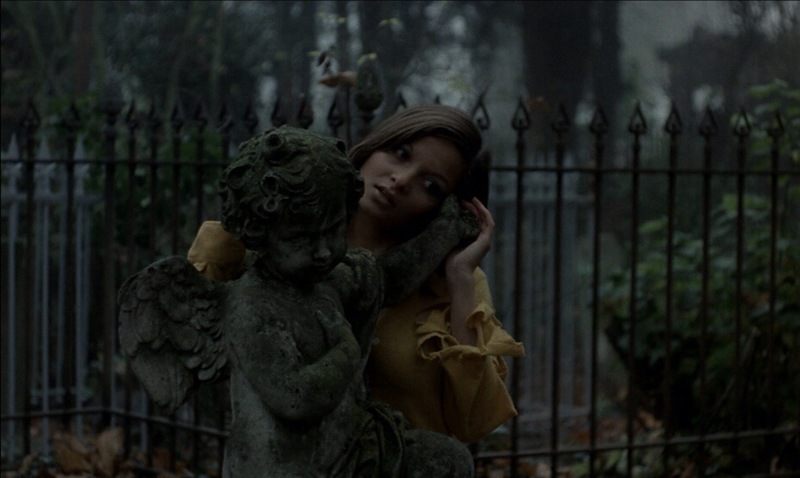 As director Jean Rollin crafts a film that’s loaded with eerie atmosphere and he perfectly captures his location as the cemetery is quite eerie looking. Iron Rose is often linked to the horror genre, but its never really meant to entice much suspense or scares. However I would have liked to seen Rollin play more up to horror film conventions due to how eerie the film was. Regardless Iron Rose is loaded with atmosphere and pacing is generally strong, but even at only 80-minutes, Iron Ross does seem a little overly long. Even though I enjoyed the film I think its one that I’ll like more on repeated viewings. Iron Rose is all about the atmosphere and Rollin does an excellent job. 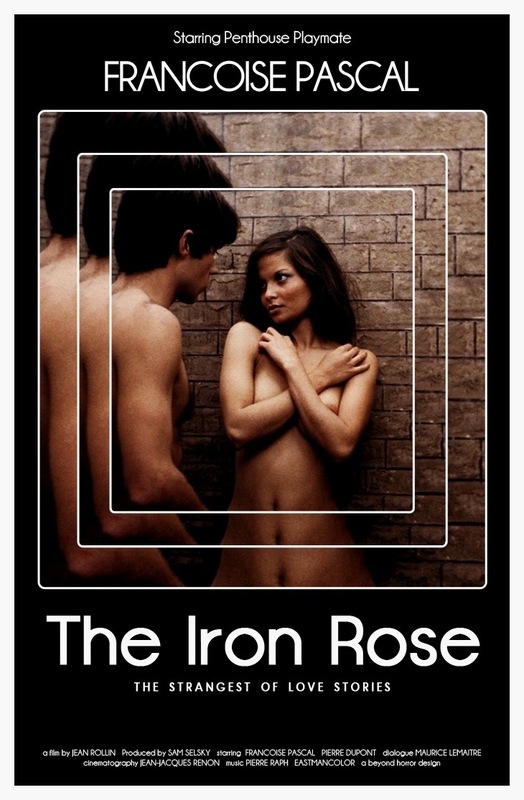 The Iron Rose is a film that will no doubt split viewers and the film really has no mass appeal. Iron Rose is also quite an odd film as we have a guy in the cemetery who looks like a vampire and even a clown! 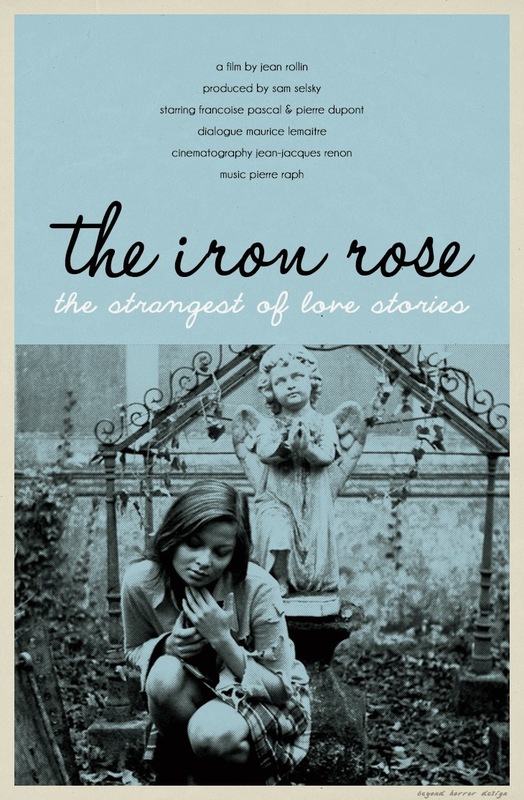 If you’re into artful style films Iron Rose could very much be your film as for others its tough to recommend.